Flip a coin 2 times. hh=Bill uses Dark lightning 110 att. tt= Bill enters a minion soul of pure madness into opponent 20+ attack per turn. ht= throws you 40 att. th= Bill strikes you with magic 90 att. Comments : WARNING! 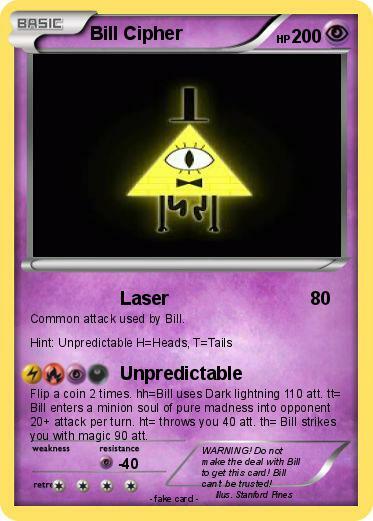 Do not make the deal with Bill to get this card! Bill can't be trusted!